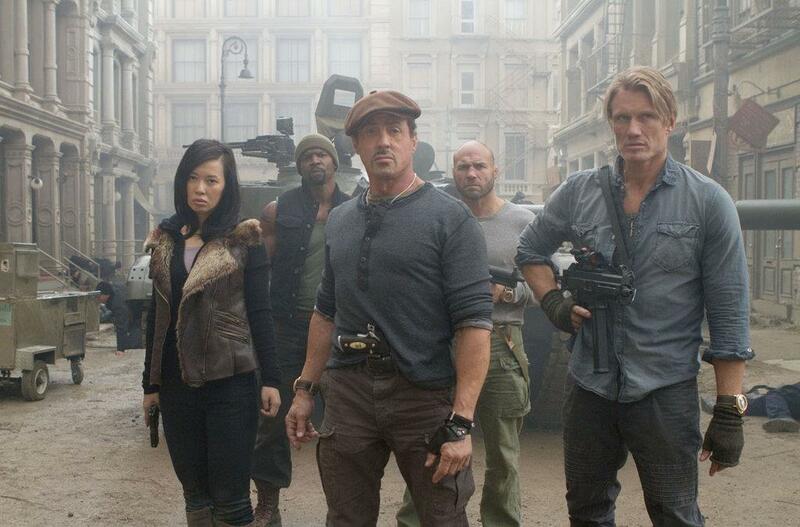 The Expendables are back and older than ever, plus Liam Hemsworth! This action-packed sequel is silly and stupidly entertaining, but at least it delivers on what seemed to be promised in the first film. I was let down by the first film, due to its intent on striving for a fairly serious tone and boring me with its bland story in between its few action set pieces. 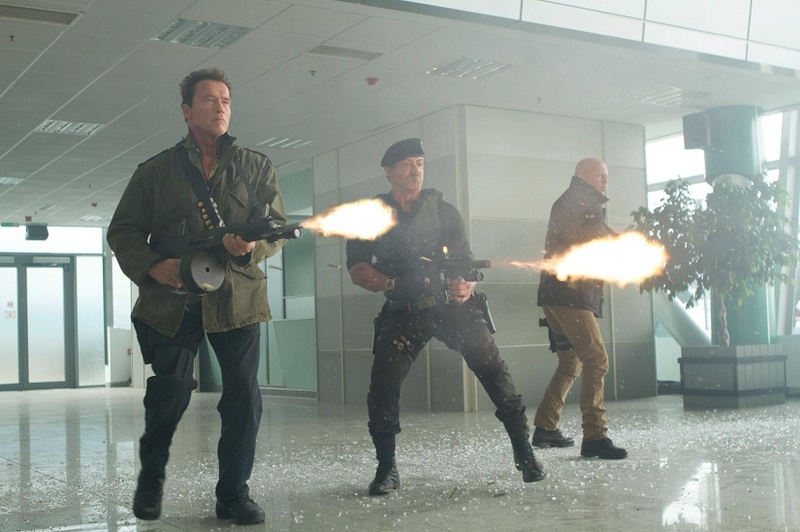 This time around, Stallone and his crew have a much more go-for-broke attitude about things and they have plenty of fun while delving into one explosive action sequence after another. That said, the movie is all sorts of ugly (CG, locations, the quality in general), even as it pulses with all the energy ridiculous kills and cheesy one-liners have to offer. Make no mistake; this movie is exactly what it looks like, so take that as you will. There is really no need to revisit or seek out the first film in regards to trying to understand the story. This film series, as it were, revolves around a group of mercenaries for hire, led by Barney Ross (Sylvester Stallone), going on various action rampages against evil organizations in an effort to make their money. 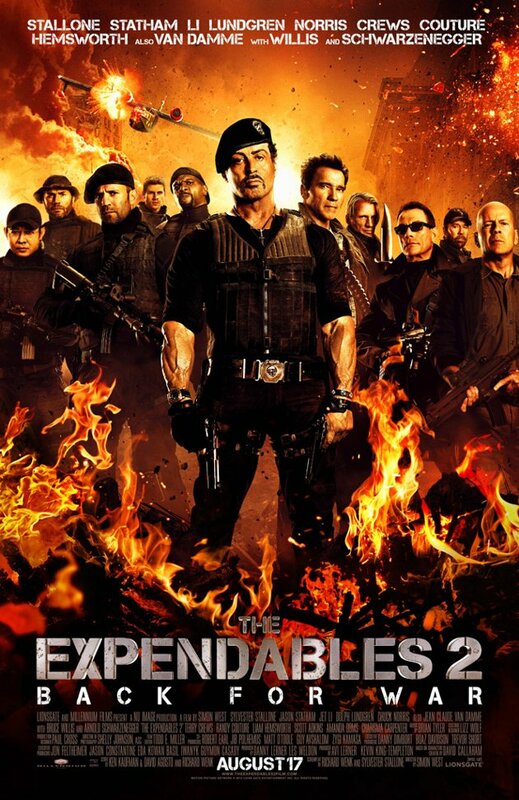 The film begins with an all-out assault on a base in Nepal, where Barney and his crew, which includes Jason Statham, Terry Crews, Dolph Lundgren, Jet Li, Randy Couture, and Liam Hemsworth, manage to rescue a prisoner and prove that this movie is going to be ridiculous, loud, and in need of lots of ammo to keep the action going. The main thrust of the story revolves around Ross and his men being assigned a mission by force from the mysterious CIA Agent, Church (Bruce Willis), who still feels like Barney owes him one, after screwing him over on the previous mission he hired The Expendables for. This new mission requires Barney and the others to team with Maggie (Nan Yu) in an effort to find the location of deadly weapons, before they fall into the wrong hands. Of course it is all too little too late, as the evil Jean Vilain (yep, that is seriously his name and he is played by Jean-Claude Van Damme) gets what he needs first and then does something even worse, which puts him on The Expendables naughty list. It will now be up to these dirty dogs with hearts of gold to stop Vilain and his men. I will just get the other two cast members, I have not mentioned yet, out of the way. Arnold Schwarzenegger is back for the sequel as well and in an expanded role, but man has he not done much in the way of boning up on his screen presence. It may seem nice to have Arnold back on the big screen again, but his clumsily delivered one-liners are barely passable. 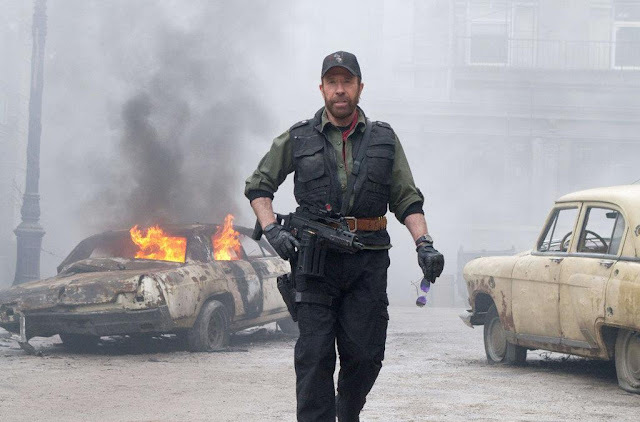 The other extended cameo belongs to Chuck Norris, who plays the lone wolf. The only explanation I can come up with to describe why he shows up in this film has to be that Norris owns a portal gun. The man is essentially Walker Texas Deus Ex Machina. That said, Norris represents the attitude of this film, which is that it knows the movie that is it is, with Norris literally delivering a joke that makes anyone who has come up with Chuck Norris jokes in the past proud. If one wants to delve further into the performances in this movie, the best work actually comes from the muscles from Brussels, Van Damme. As Vilain, Van Damme seems to love the chance at playing a super bad guy, with aspirations that amount to making tons of money by selling off plutonium to the highest bidder (that old gem of a super evil plan). Van Damme appears to be trying and is rather effective at both being evil and working as a scene-chewing villain. Kudos to him, because the rest of the cast really do not get as much to work with. Sure, they are all fairly likable and get their various one liners (I’m a sucker for Terry Crews and who doesn’t love Statham), but the awful script is not doing many favors for anyone. But who cares about a script, right? This movie is about action and it certainly delivers that. Stallone has stepped down from the director’s chair this time, with Con Air’s Simon West filling in. The action does enough to satisfy, given that it is plentiful, despite not being too varied. There are a lot of explosions and bullets fired, but it is coherent and often darkly humorous. Still, while the blissful over-the-top-ness that West has put to use in the past may seem present here, I could not get around how ugly the film was to look at. For being a $100 million feature, there are lots of bad CGI moments and a whole mess of CG blood (remove this, make some other edits, and suddenly Norris’ PG-13 claims don’t seem so far from the truth). The film also just looked bad in terms of its muddy close-ups of the various actors and locations (but I am sure Bulgaria has its nice locations in real life). “I enjoyed watching this film,” is a loose way of recommending The Expendables 2, but I don’t quite know how else to say it. The movie is not really good, but it does the job of supplying people with what they expect to see. Given that this is the All-Star Game of action movies, I was happy to find joy in seeing all of these actors/tough guys in one movie together and delivering on making things go boom real good. That said, there have been much better action movies this year (The Raid: Redemption), let alone the past few years (Casino Royale, 13 Assassins), let alone from some of these individuals in their own movies (T2, Die Hard). At least the movie is frequently entertaining, whether it be due a bit more self-awareness of what it is or because I saw something like Jet Li beating up a room full of people with frying pans. The movie is what it is and proves to be a fun time for those seeking ultimate escapism via late summer action movies. It's funny you mention how ugly the movie looks. I figured it was because I saw the film on a 80-foot screen and the print just wasn't built for that kind of screen (at times, it looked like an regular DVD on an HDTV screen). That's the second time I've seen a film on the local 'Enhanced Experience' and both times I picked films that made it look like a waste (first time was Ghost Rider 2 on a free ticket). I agree that it looked like DVD quality, which is unfortunate, because I saw the film in Regal's RPX (which is on par with IMAX Lite) and found the sound to be great, but was disappointed by the picture, which I knew I couldn't blame on the theater. Good old fun anyways. Props to all them guys past their prime!